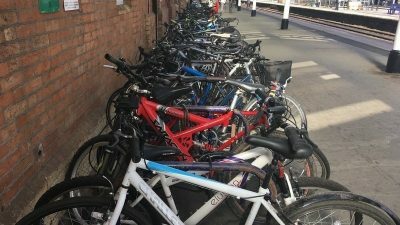 UPDATE – GWR have installed 22 new cycle spaces at Taunton station in January 2019. This is in respons to our call for additional ‘interim’ spaces. In total 150 new cycle spaces are proposed but the rest are part of the major scheme for the station, and the current interim provision might be moved as part of this. (15 August 2018) Hundreds of people arrive at Taunton train station every day. Many are commuting to work and find that all the bike racks are taken. We all want to live a greener life, that’s why we cycle and take the train. If GWR is really serious about both its profits and its commitment to a greener living, they should install more bicycle racks quickly!